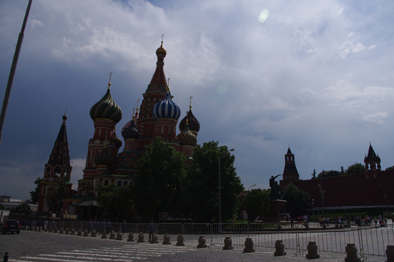 My trip to Russia has taught me how my preconception of a country can be totally wrong. I expected to find a cold grey environment where people look miserable and oppressed but instead found a vibrant place with colourful buildings and radiant people. The Kremlin is not the dark prison I thought it to be. 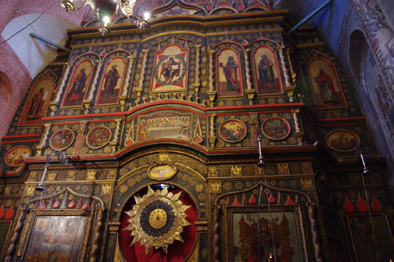 Inside there are magnificent palaces, museums, art galleries and churches. 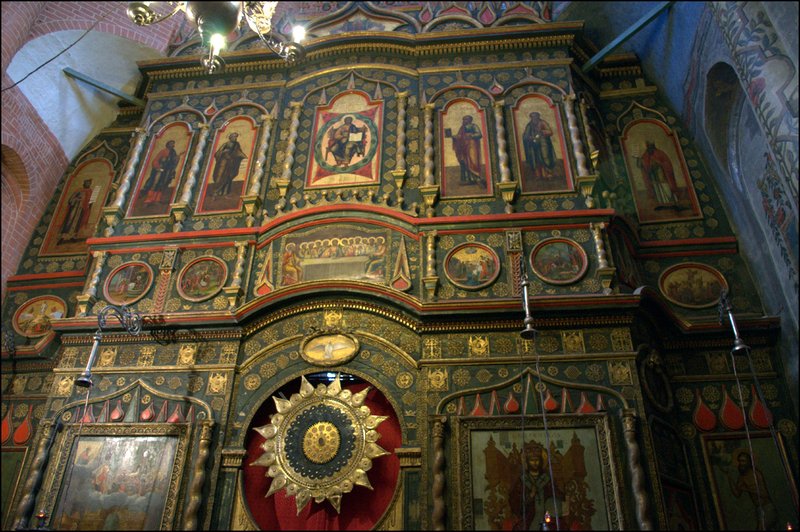 I was not allowed to photograph inside the Kremlin palaces and museums but I was allowed to take photos of the interior of St Bazil’s. Vibrant people on the streets of Moscow (notice the cleaners in the background). There were police and soldiers about but no more than you would find in any capital city such as London. 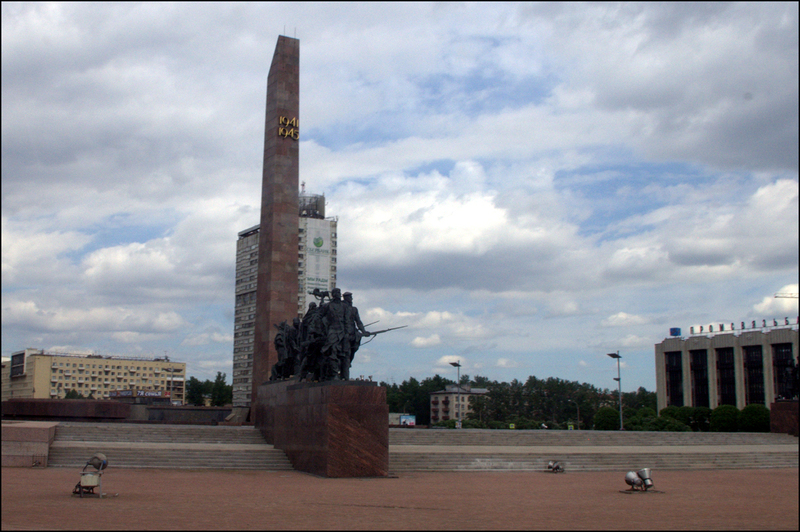 In Russia they commemorate two major wars, the 1812 war against Napoleon and the Second World War against Hitler. I briefly wondered why they seemed to disregard the First World War and then remembered that the Russian Revolution occurred part way through it. People still queued to view the embalmed body of Lenin but I declined to join my fellow tourists in line, preferring instead to wander around the centre of the city on my own taking photographs, something I had previously thought I would not have been allowed to do. 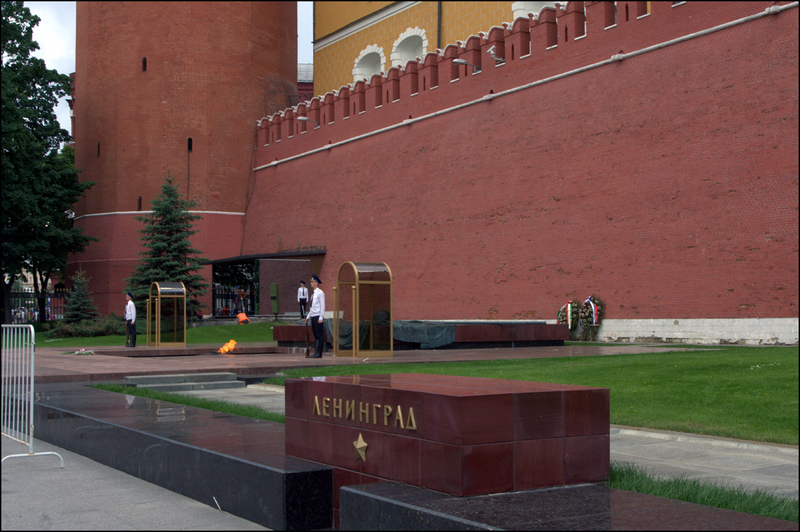 Soldiers Guarding The Tomb of The Unknown Soldier and The Eternal Flame near The Kremlin. I dined in a superb Georgian Restaurant just a few yards from our hotel which served excellent sea food from the Black Sea. 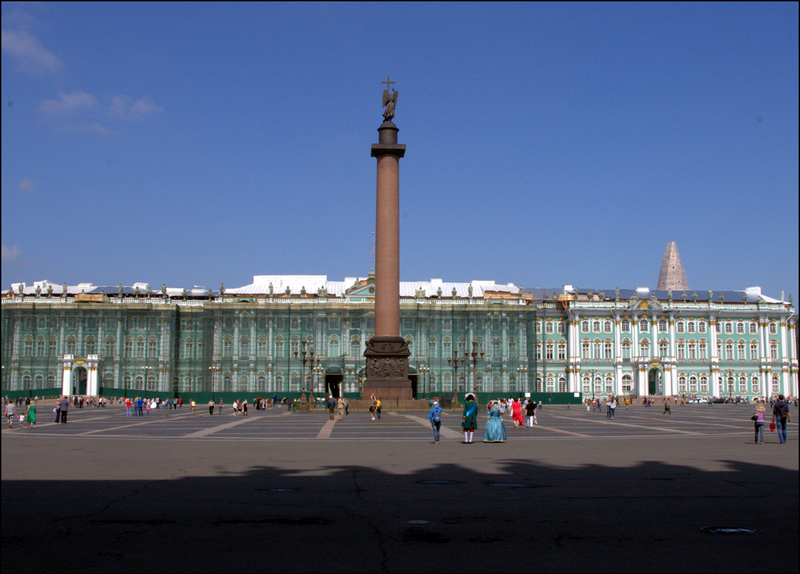 St Petersburg was much less crowded than Moscow and the palaces even brighter and more accessible. It seemed very apt that the Russians decided to change the name back from sombre Leningrad to its pre-revolution title. 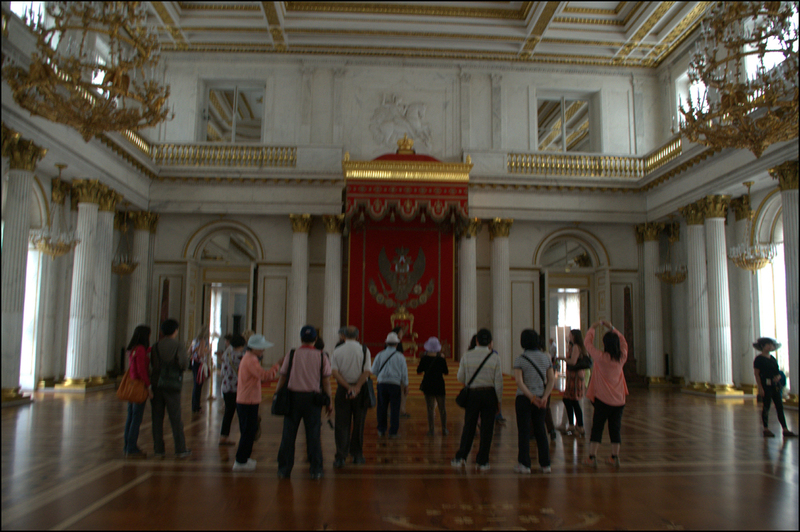 Unlike those in Moscow, I was allowed to photograph inside most of the palace interiors although there were some rooms where photography was not allowed. Food and drink was half the price than in Moscow, which was almost the same as in London (expensive). 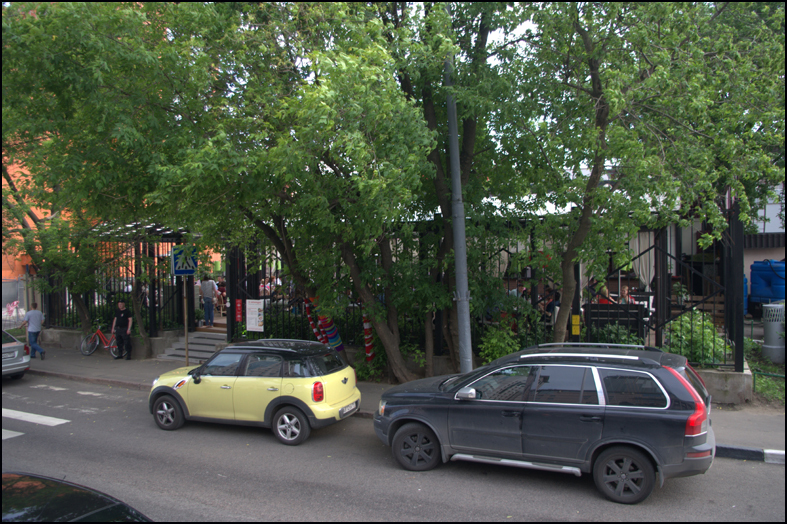 I highly recommend the Literary Cafe, not far from The Winter Palace. 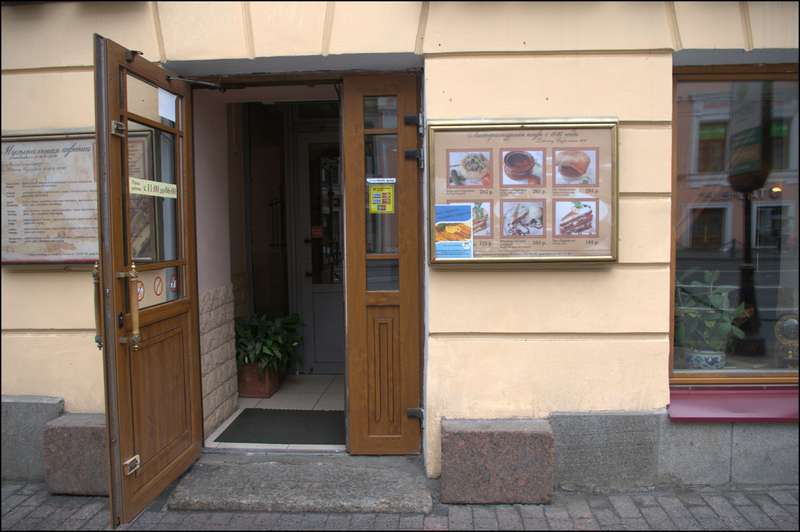 The menu contained quotations from Russian writers in English and Russian. 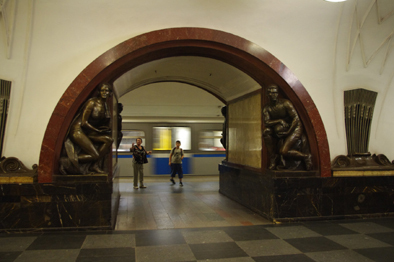 This week the writer was Alexander Pushkin. Their Snack Hussar (red caviar, smoked salmon, pancakes with a tot of Vodka) was wonderful. 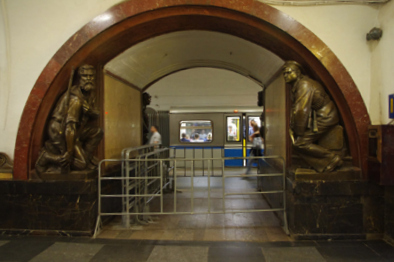 Our Russian guides made little reference to the Soviet regime apart from its contribution to defending the country in World War Two. I was surprised to find how much of the Tsars era had survived and was proudly displayed. Boris Yeltsin was proudly referred to as the first Russian President. Russia is a wonderful place to visit. It is not possible to understand all aspects of a country on just a brief visit to two cities but my first impression is that it is no better or worse place to live than most other countries in the developed world. 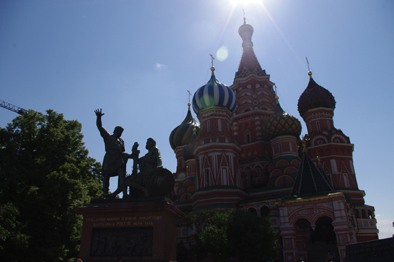 This day we visited Red Square and St Basil’s Cathedral. 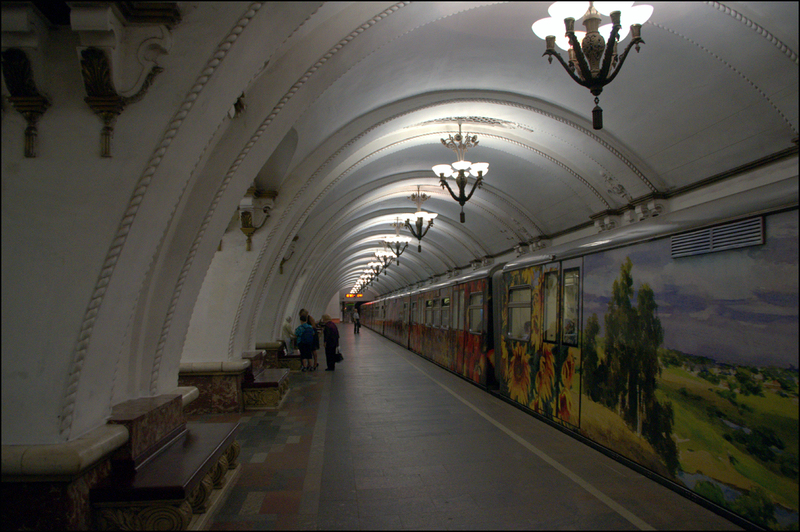 We travelled there by Moscow’s magnificent Metro; the walls and ceilings of which are really a work of art. 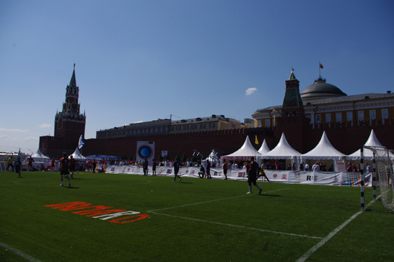 There was a terrific sporting display in front of the Kremlin. Astro-turf was laid out and teams of footballers and vollyball players were going hard at it. 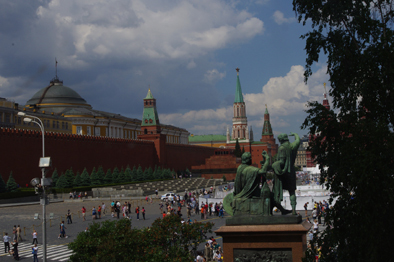 A far cry from the days when Red Square was used to display Soviet Military Might. 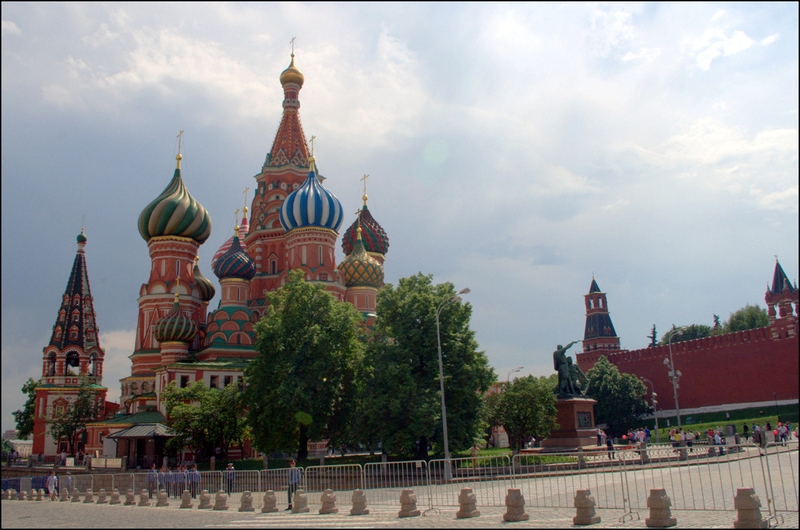 The Square and St Basil’s Cathedral was much different than I expected. It hot vibrant and in such constrast to the austere photographs I saw in the fifties, sixties and seventies. 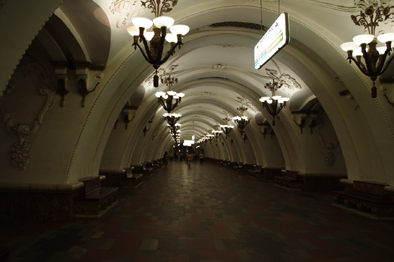 My trip to Moscow has shattered my illusions of it being a cold drab deprived city devoid of the joys of life.